Aston Martin has unveiled a new hydrogen-powered Rapide S, which is based on Aston Martin’s four-door, four-seat sports car. 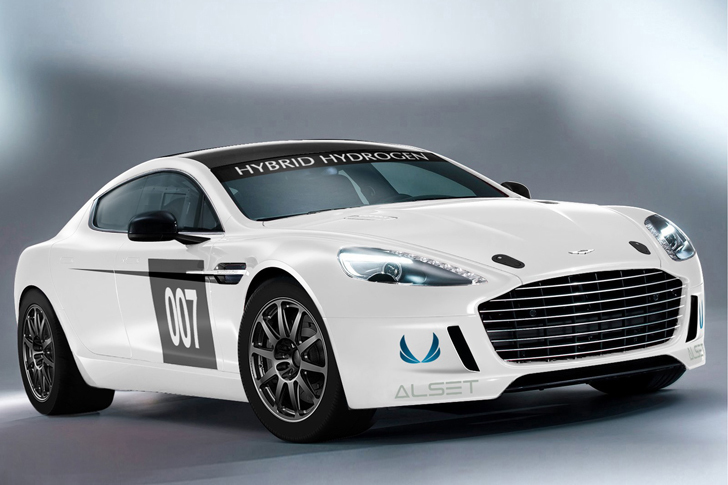 The hydrogen Rapide S was developed in partnership with hydrogen experts Alset Global and will become the first car of its kind to compete in an international event when it hits the track at the 41st ADAC Zurich 24 Hours of Nürburgring next month. The hydrogen-powered Rapide S features a twin turbocharged 6.0-liter V12 engine that is capable of running on pure gasoline, pure gaseous hydrogen, or a blend of both. In pure hydrogen mode, Aston Martin and Alset Global aim to show that a zero CO2 emissions lap of the Nordschleife is possible while emitting virtually only water from the exhaust. The hybrid hydrogen system comprises a hydrogen fuel rail, storage tanks and proprietary engine management system. 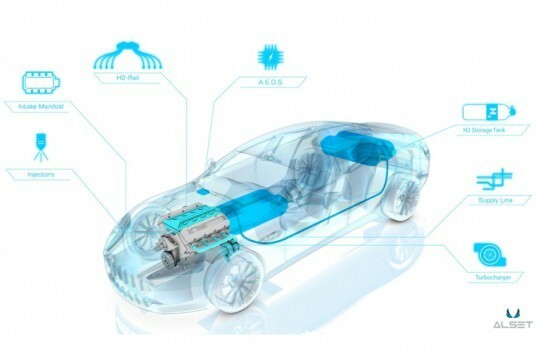 This enables flexibility in the control of the combustion process according to each particular driving situation: either pure hydrogen, gasoline or a arbitrary blend of both can be selected to ensure optimum power, acceleration and CO2 reduction.